It’s kind of silly. Mother’s Day, I mean. It’s just another greeting card holiday. Not to say it’s not important, but it’s not something we should be reminded to remember. So it’s silly, right? It’s silly that it hurts. 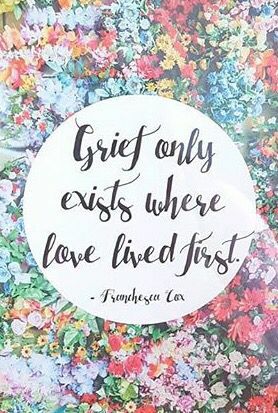 It’s silly, that I get through most days as a numb grieving mother, but Mother’s Day makes me want to curl up in a ball and hide from the world. There’s no logic to it, but of course, that’s silly too, because when has love or grief ever been logical? I feel ridiculous most days. I’m not sure what I’m feeling. Not sure how to deal with everything that’s falling apart. Not ever sure of what the respectable and appropriate thing to do is. I live in a constant state of embarrassment and I have no idea why. I have nothing to be embarrassed about, nothing to be ashamed of. But I feel so wrong. It shouldn’t matter. Mother’s Day shouldn’t matter. It’s just a day. Just another day. But I don’t like this. Everything feels wrong. Just the thought of that day turns me into a mess. How am I going to make it through? Nothing is ever fair. Nothing ever goes as planned. Nothing is as it should be. And I am frustrated. I am bitter. I resent Mother’s Day. I resent my loss and the cruelty of this day for bereaved mothers. I resent my own Mother for being the woman she is, a woman I’ll never allow back in my life. And I resent my situation. I want to know what it feels like to be loved by a Mother, but I also want to love my baby girl. I want to be the mother I never had, but Brielle is gone. And I am alone. Motherless and childless. And so the twisted, bitter, broken pieces of me are disgusted with the picture perfect smiles of happy mother’s. And the grieving mother and daughter that I am, is happy for those that have children to love. That have mothers who love them. I am shattered and I reflect my own love and hope, as well as my own brokenness. And I don’t know how to reconcile the two. I don’t know how to do this part of my life, how to get through this day or this season. I crave comfort, but how could I ever accept it? I don’t know how. I am disappointed in myself, and I should be stronger. I am better than this. Next > Thank You, Kara!